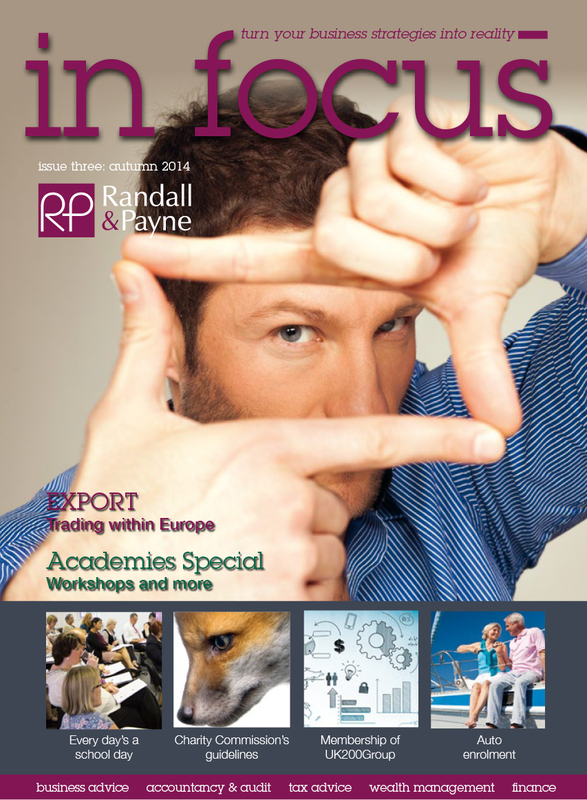 Missed an issue of our In Focus magazine? Download them for free by clicking on the links below. 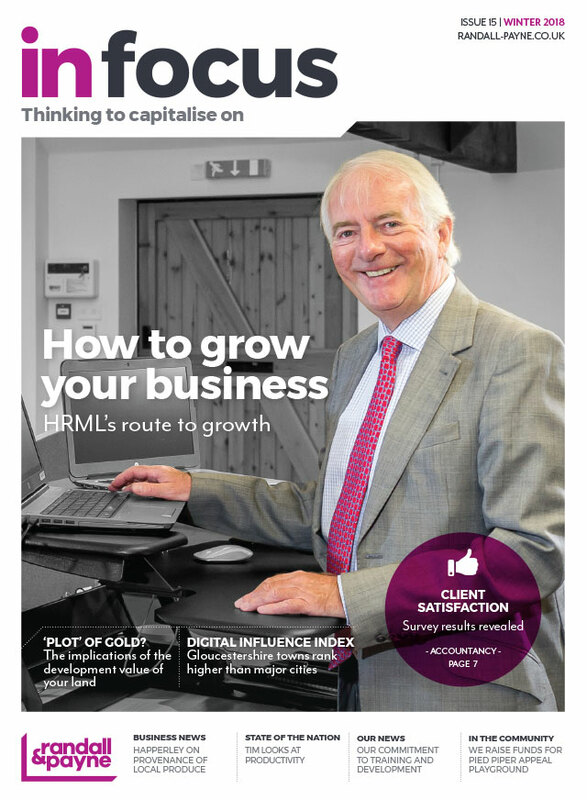 In this issue, we help businesses to navigate through uncertain times by focusing on building on what they do well, explain how cloud accounting software can improve cash flow, and a range of other topics which include Making Tax Digital, maximising business value, making change stick, innovation and audit. 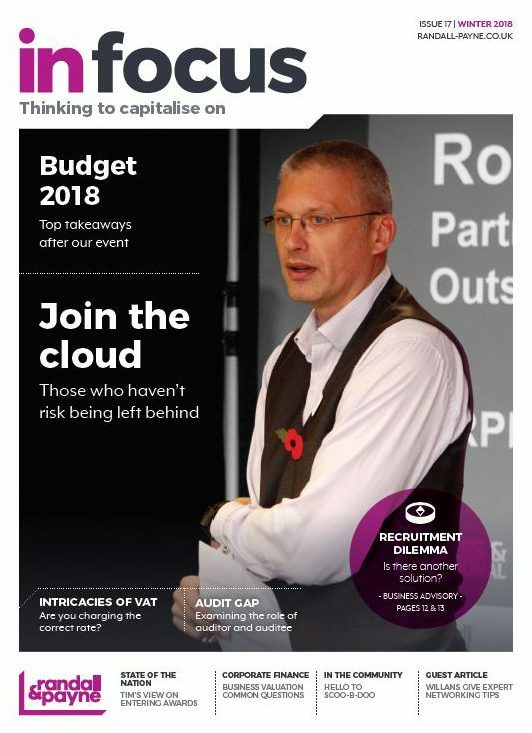 In this issue, we report on the outcome of the Budget 2018, discuss an alternative solution for the recruitment dilemma, as well as topics such as cloud accounting, business valuation, audit and VAT. 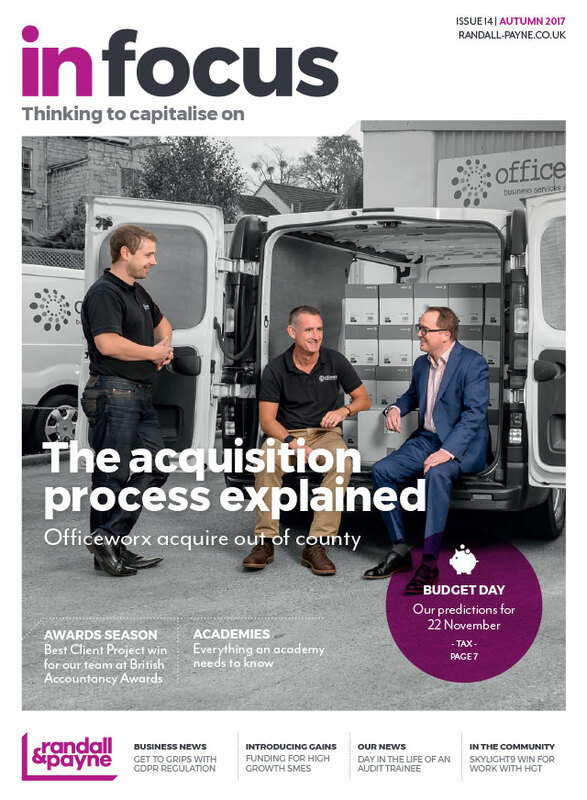 We help Officeworx through an unexpected acquisition opportunity and demonstrate how to navigate the complications of accounting for academies. 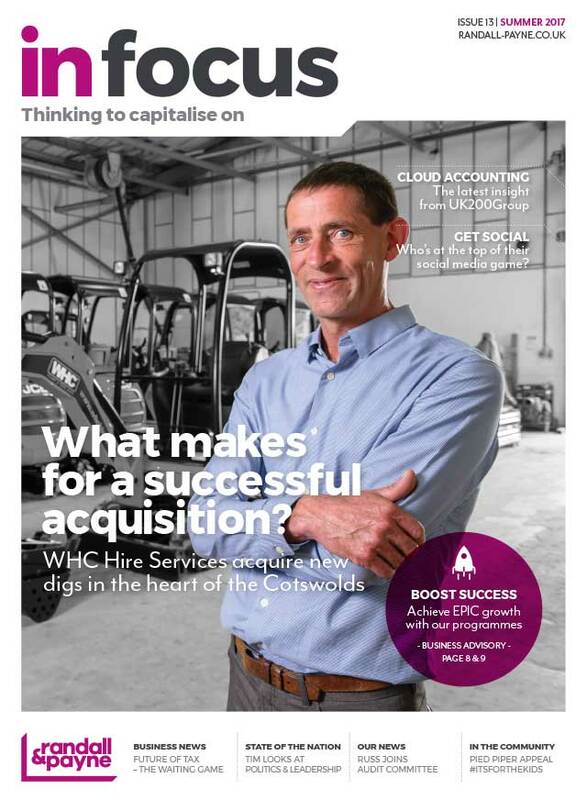 We walk you through WHC Hire Services' successful acquisition and show you how to boost your business success. 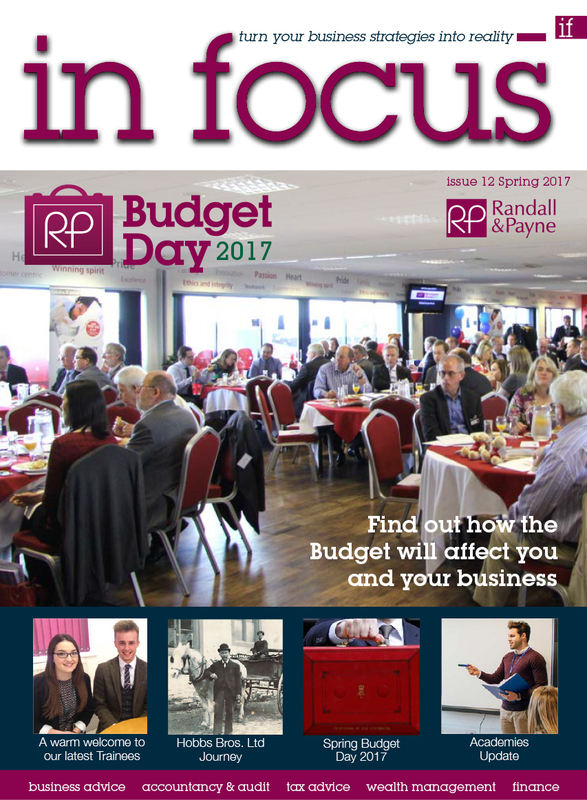 We gather Gloucestershire's business leaders together to talk about the 2017 Spring Budget. Are you ready to be a leader? 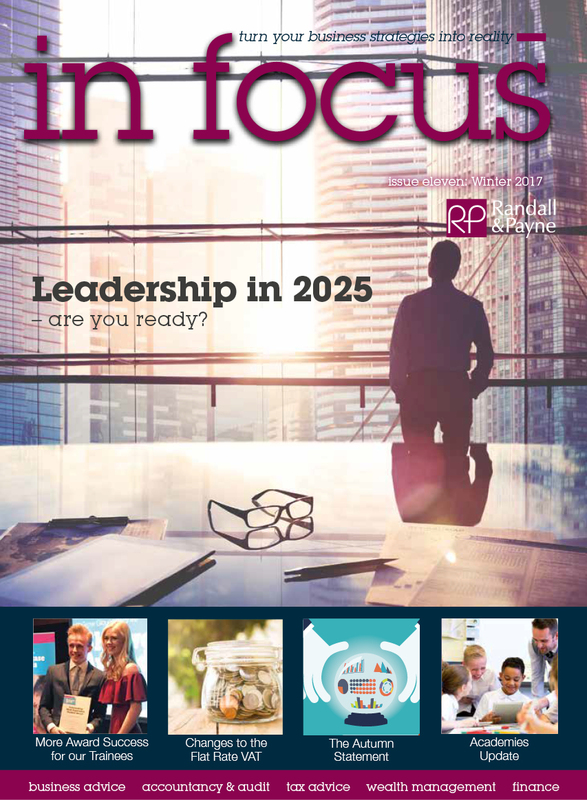 We look at what it will take to be a business leader in 2025. 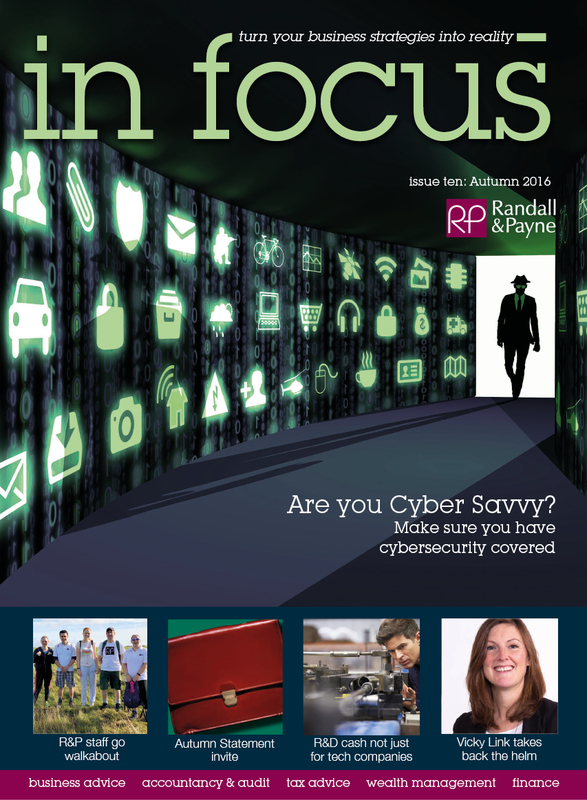 Make sure your cyber security is up to the highest standard with our top tips for businesses. 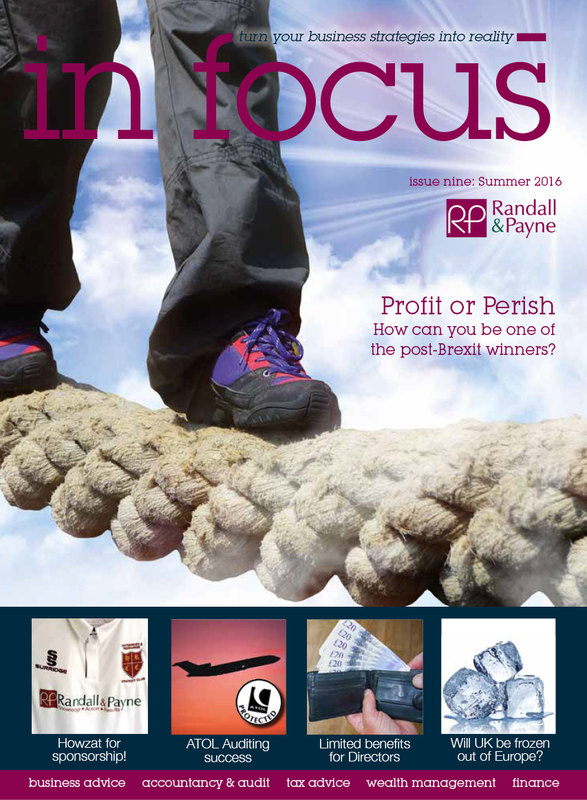 Will you profit or perish after Brexit? 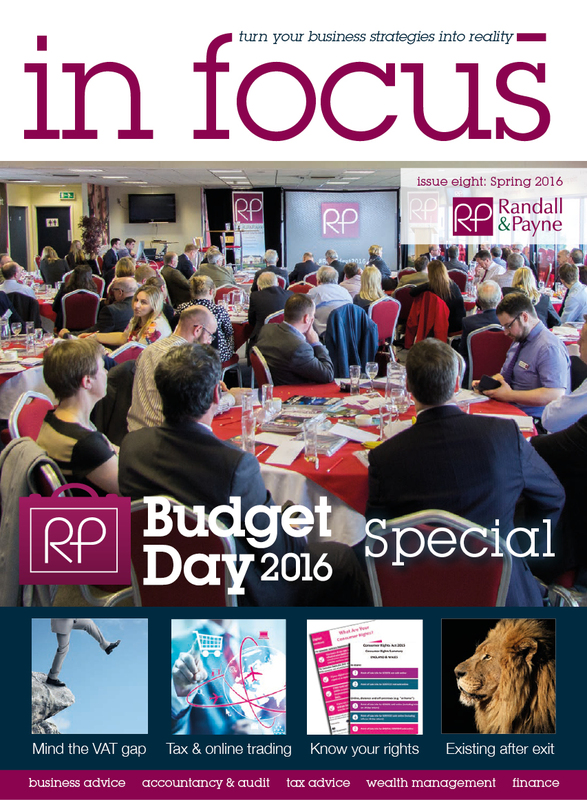 Follow our advice to become a post-Brexit winner. 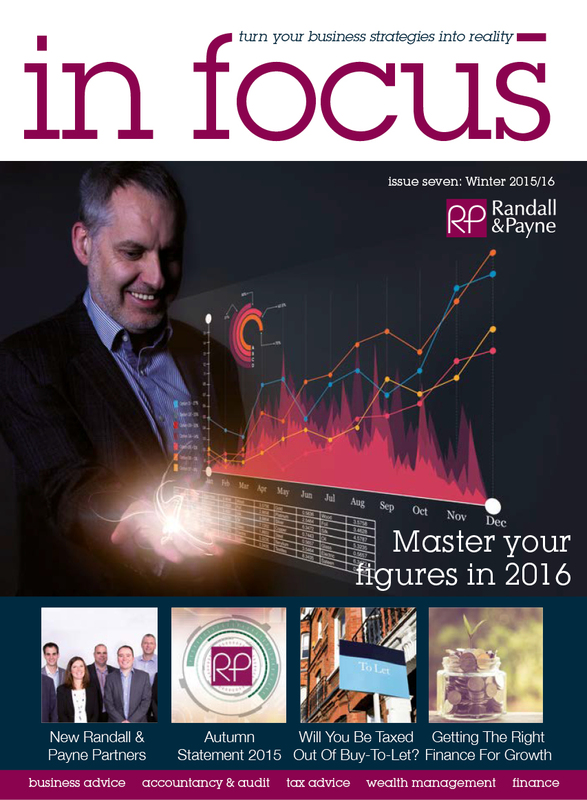 Our business advisory team give you the advice you need to master your figures in 2016. 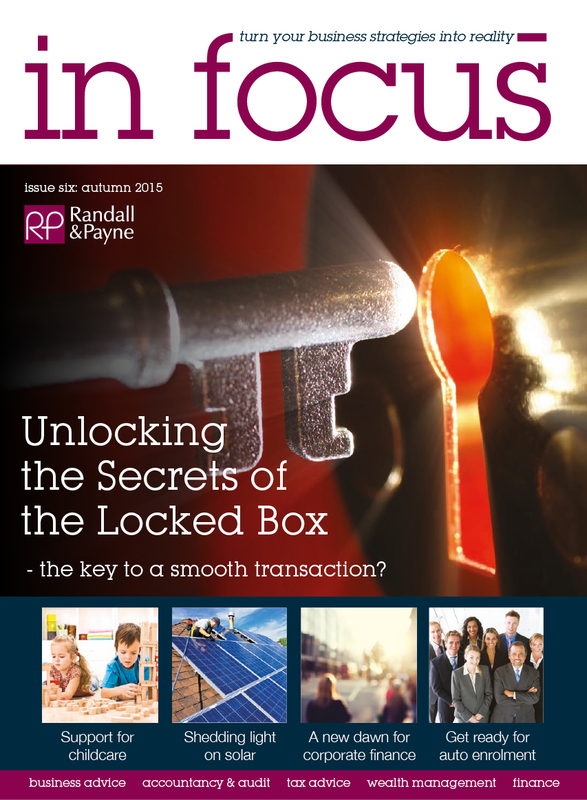 Is the 'Locked Box' the key to a smooth transaction? 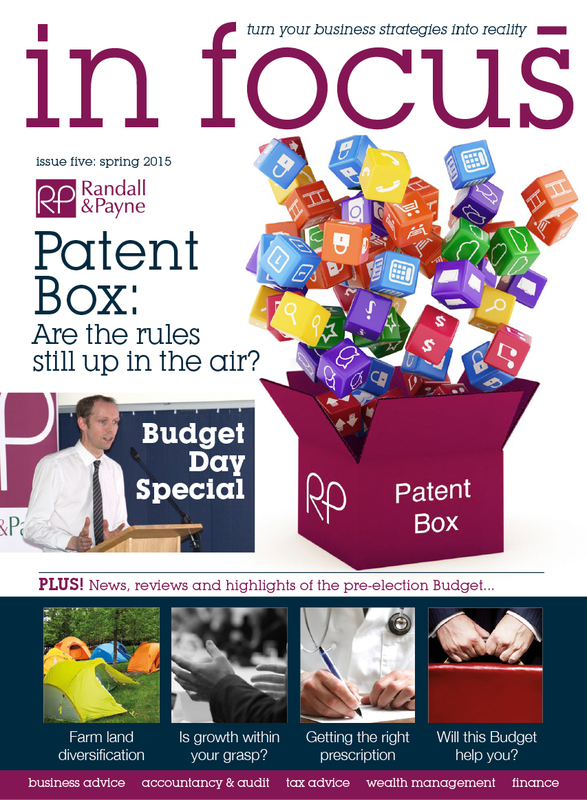 Read on for more corporate finance insight. 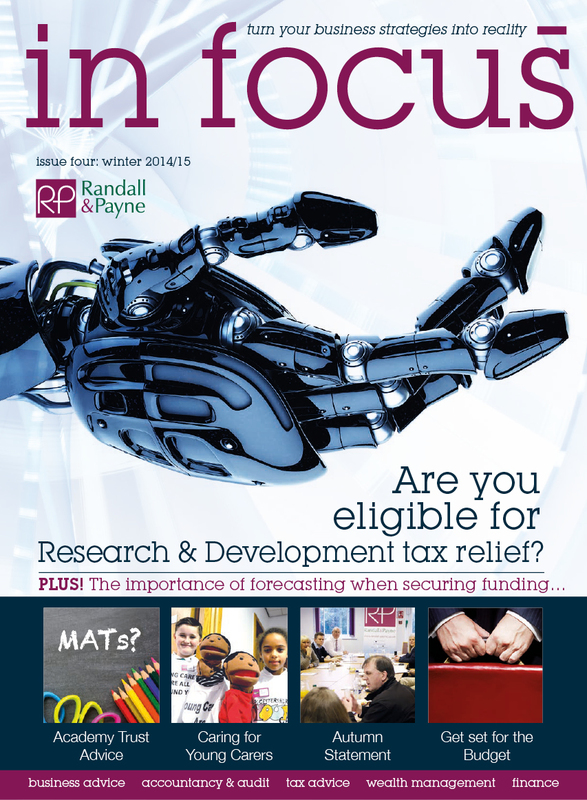 Could you be eligible for R&D tax relief? 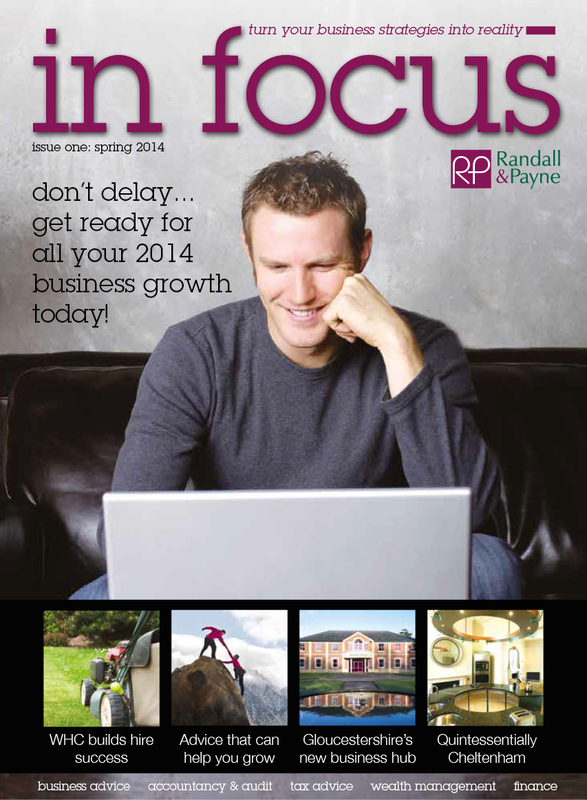 Find out more in this issue, and learn the importance of forecasting. 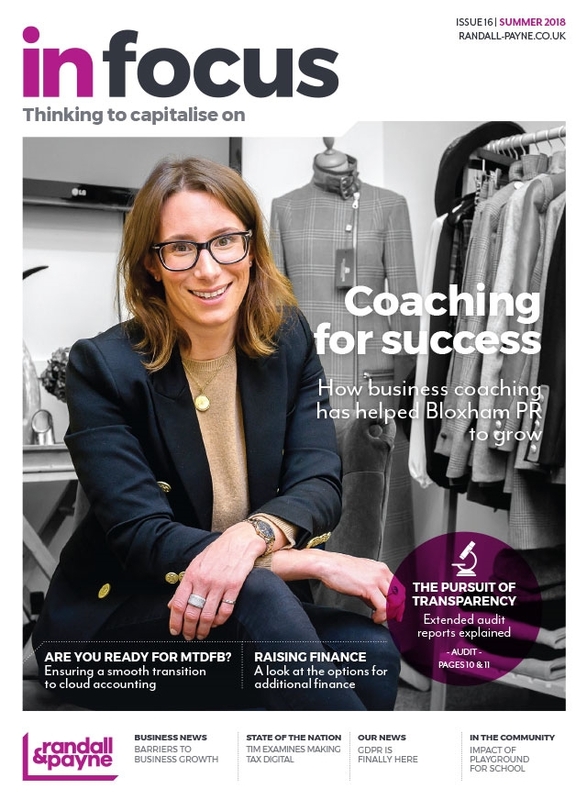 Get all the details about the latest academy changes and find out everything you need to know about export tax restrictions. 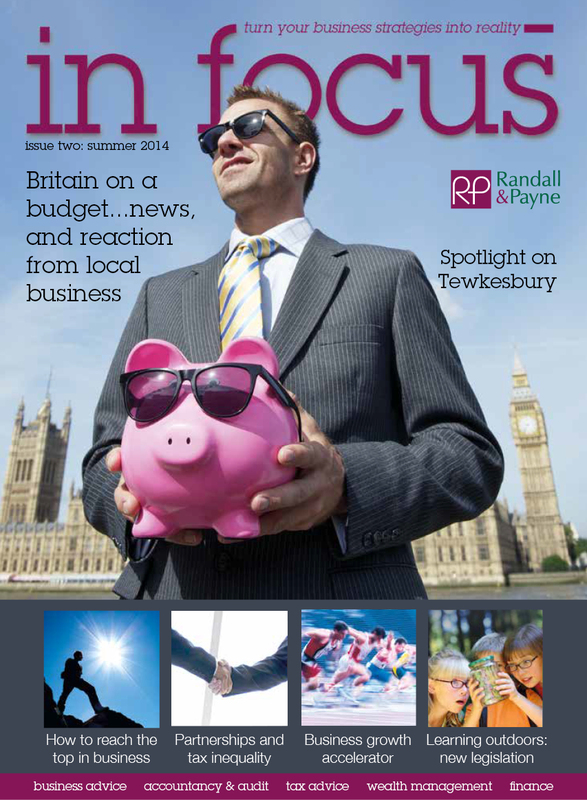 We look at how the 2014 Budget will affect local businesses and talk about making it big in Tewkesbury. 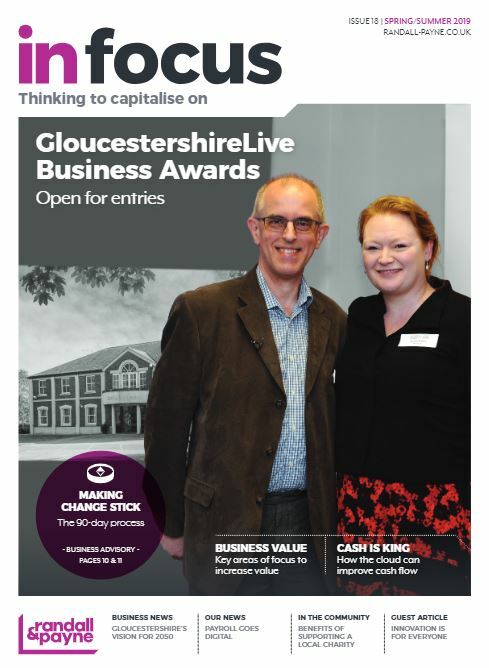 In our very first issue, we tackle your business growth issues head-on and put Stroud in the spotlight.